Personalized red 43” arc mini windy umbrellas are largely considered for business gifting as well as personal gifting in all seasons. 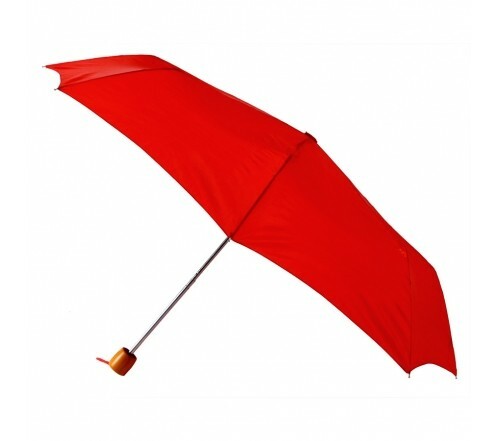 Marketers working in constrained budget conditions are find solace in this umbrella because it is leading them to increased sales. This umbrella can withstand high winds with ease and it can get extremely submissively when it comes to retaining it in bags. Features -43” arc red polyester canopy, sturdy real wood handle and manual open function. Dimensions - 43" arc - Folded Length 10.5". Imprint Area -7"W x 6"H.